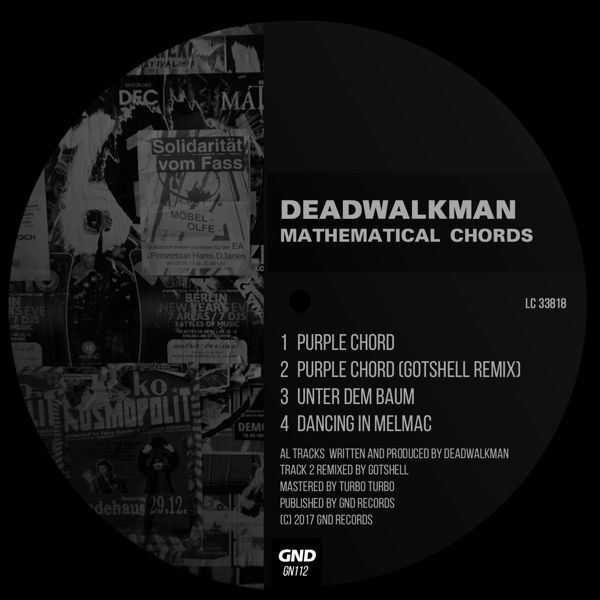 DEADWALKMAN FROM BOGOTA RETURNS ON GND! After his last EP on GND and releases on Berlin’s AYCB, Deadwalkman resident of the famous Baum Club from Bogota Colombia, bring us a fresh new release. Mathematical Chords is called his new 3 Tracker incl. a remix from Colombia’s Gotshell. Pick up you favorite track and play them loud!